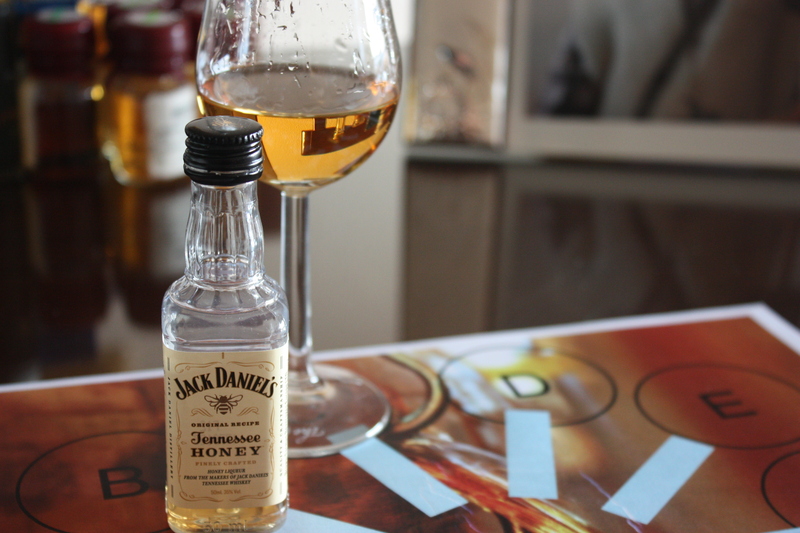 After tasting a very nice Glenfiddich Malt Liqueur I decided I have to taste something else… and searching around in my samples’ box I found this Jack Daniel’s Honey Liqueur that is one of the best selling ( at least for the interest it raises on A Wardrobe of Whisky ) liqueurs. I have been wanting to taste it for a while because lots ( and really mean lots ) of persons have asked me about it. So let’s see how it is. I have really low expectations, considering that Jack Daniels is one of the best selling bourbons ( or Tennessee Whiskey as you prefer ) and it is one of the weakest bourbons I have tasted. Long awaited in the UK and with a big following in the USA, this is Jack Daniel's honey and whisky liqueur. A mix of regular Old No 7 and a spiced honey liqueur, it's got spice, sweetness, floral undertones and a long smooth finish. Drink over ice, chilled or even in a cup of coffee - it's rather tasty. Nose (79): more than average. honey, spices, citrus, corn. Palate (83): light, smooth. honey, spices, burnt sugar, vanilla, cinnamon, ginger, treacle. So based on other whiskies I have already tasted I rate this Jack Daniel's Tennessee Honey Whiskey Liqueur with 81 points over 100. Well, it isn’t that bad. Even if you consider that this is done using Jack Daniels. But what really won me of Glenfiddich Liqueur was that you can feel the honey and feel the Glenfiddich Malt whisky there. But for £24 you can’t ask much more.